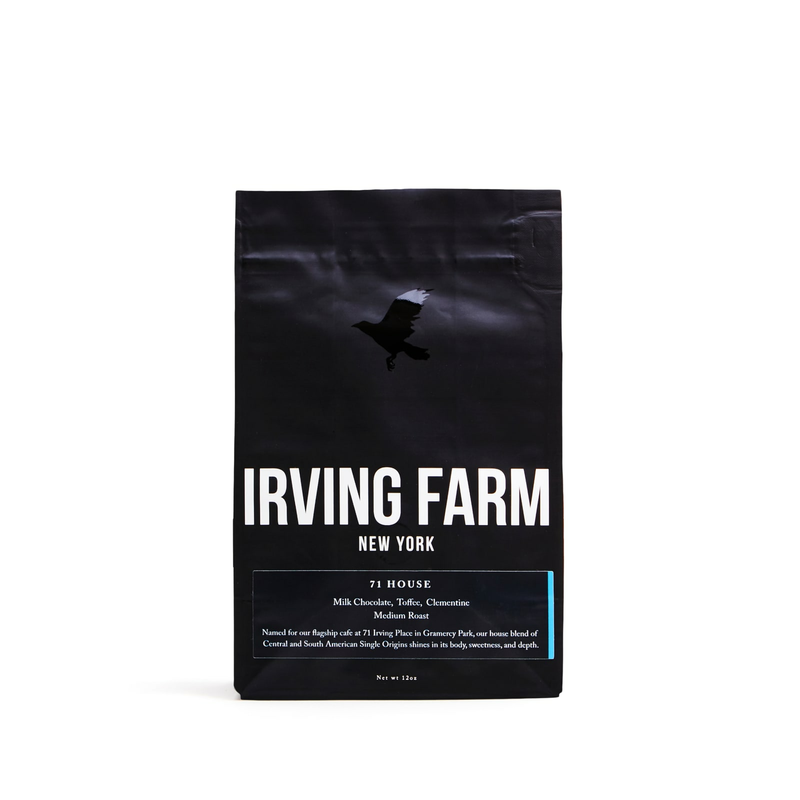 This signature House Blend was crafted as the hallmark coffee for Irving's original cafe at 71 Irving Place. Classic, rich, smooth flavors are great with milk. Irving Farm is named after this roaster's original Manhattan café on Irving Place.